Security is perhaps one of the most worrying matters for travelers who decide to visit Burma. However, the current state of advanced technology and the internet allows visitors to be informed as quickly as possible of what is currently happening in the country. In spite of many stereotypes, Burma remains a safe and peaceful country to visit, if the warnings are taken into account. The main security risks in Burma are classified into four groups. Currently, armed conflict represents the greatest risk to the safety of visitors in Burma. Burma has long suffered from protracted internal conflicts in which some ethnic groups have been fighting for independence for years. Ceasefires were signed with the government; however, there are still some areas where tourists are prohibited from entering. At present, the situation is most dangerous at the border with Thailand. The Buddhist and Muslim communities have been confronting each other for a long time. During your Myanmar trip, do not hesitate to follow the advice published by the Burmese government. It is better to skip a visit of a region rather than to risk your life. In terms of natural disasters, Burma is not spared. The country is locate in an important seismic zone; 5 major earthquakes have been recorded over the last 60 years. Less dreaded earthquakes are common (48 in 2012), but few injuries and casualties are recorded. On the other hand, cyclones are much more frequent and dangerous. Burma has a very long facade open on the Indian Ocean, which makes it an easy target. However, you will be unharmed if you take into account the weather warnings and precautions issued by the government and the competent authorities. Finally, be aware that during the rainy season, floods and landslides are common. Here again, to stay in Burma safely, listen to the competent authorities or your guide. 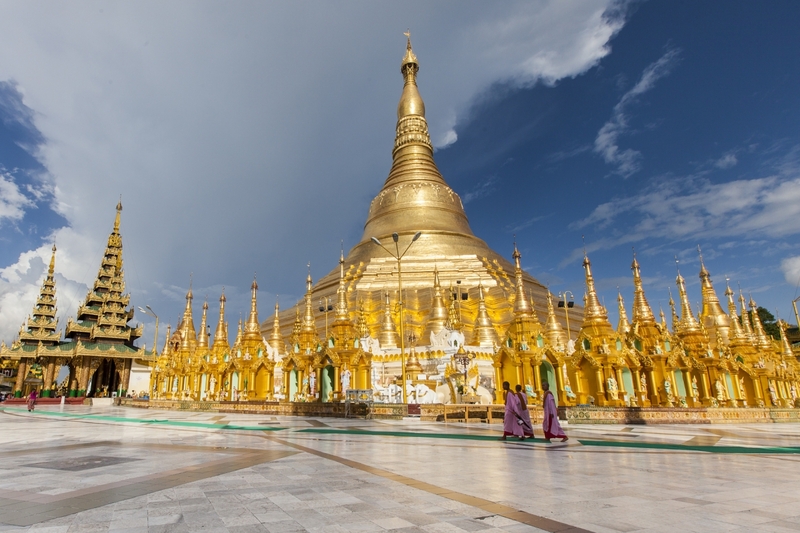 Before you travel Burma, make sure you have your vaccinations up to date. Ask your doctor for advice on whether additional vaccines, such as Hepatitis A or Japanese encephalitis, should be taken. Burma is in a tropical zone; therefore, mosquito-borne diseases are common, especially during the monsoon season. Diarrhea and dehydration are the most common health problems encountered by tourists. As in other Southeast Asian countries, you should only drink bottled water, and pay close attention to places where you eat since sanitary criteria in Burma are indeed quite different from France. In terms of personal safety, Burma is generally safe especially tourist areas. There are very few crimes against tourists in Burma and Yangon is considered one of the safest cities for tourists in Asia. Avoid, however, spending too much time standing in the center of a crowd or a gathering event; there is always a possibility of violent incidents or pickpockets in some tourist destinations in Myanmar. With regard to single travelers, especially women, it is very rare to encounter problems during a visit in Burma. Some places, notably religious, are forbidden to them, but in general they can do what they want. All in all, Burma is a safe country for travelers, even single ones. If you respect the local customs and the recommendations of the authorities, there is no risk that your Burma trip will go badly. Do not hesitate to consult the website diplomatie.gouv.fr for frequent updates on the situation in Burma.